It is not unusual that artists are told by their label that it is “a good idea” that they work together. One such album is Tubular Beats by Mike Oldfield and electronica artist York (Torsten Stenzel). Was it a good idea to make these two fine artists work together? Read on to see my verdict. Mike Oldfield: I had signed a new publishing deal and one of the executives involved put me in touch with a DJ named Torsten Stenzel who lives a few islands down from me in Antigua. He said “Torsten’s on your side of the pond. You should meet up.” So, Torsten came over and it was his idea to do a remix project. Torsten and I worked together on Tubular Beats over the Internet. We didn’t have to be in the same studio. We used some samples from the original albums and I thought it was a cool project. I love technology and software. You can do amazing things these days. You just hold one key down and incredible sounds happen. […] But the way Tubular Beats happened is I’d do a bit of work and send it back, then he’d do a bit of work. In the end, he took over most of the work, because I was working on writing new material and finishing up back catalog remixes. So, it’s more Torsten’s album. The process behind the album may seem like a forced marriage. Though, by using today’s digital studio equipment, they have actually spent little time in studio together. They are more like forced pen pals than forced into marriage… German Torsten Stenzel is most famous for his trance and house music. He has been active for more than 20 years, and has worked with artists like Moby, Nelly Furtado and Joss Stone. After many years on Ibiza, he moved to Antigua in 2007. Tubular Beats consists of 11 tracks. The opening track is a new version of Let There Be Light, my all time favorite song (in any genre or by any artist). York’s trance/chill out approach is nice and I really like the arrangement. But I find that the trance music/electronica is more down-to-earth, with its beats and bass. Mike Oldfield’s original from The Songs of Distant Earth (1995) is much more spacey and magical. The tracks that are best suited for York’s style are from Mike Oldfield’s pop phase in the beginning of the 1980s; To France and Moonlight Shadow. The Ommadawn and Tubular Bells versions are less unique and more like the many fan version available. The most interesting track on the album is no. 11, Never Too Far, which features vocals by Tarja Turunen. It is a very laid-back song, with beautiful electronic melodies and a pleasant atmosphere. Do we need (or want) another bell? Many will think that this is just another Tubular Bells release (one of many), to cash in on the classic 1973 release. That is true. It is (just look at the cover; only Mike is mentioned here while he says York did most of the work). 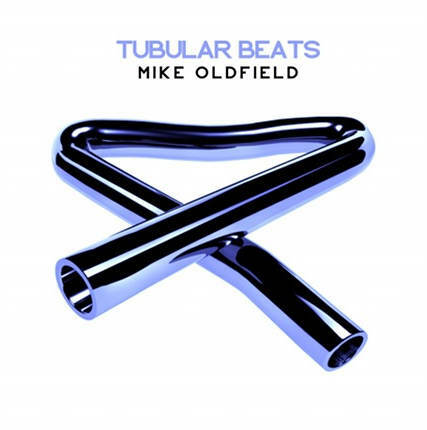 I guess the general idea with Tubular Beats is to introduce Mike Oldfield’s music to a younger audience. It is worth a try. Yes, it was a fairly good idea to make Mike Oldfield and York do an album together. Tubular Beats is an OK release, and hopefully it will inspire fans of trance/electronica to check out Mike’s music. But it offers little new (even for a remix album). Perhaps they should have made some more fresh material together instead. Then we could have heard what York had to offer. But Mike was, as mentioned above, busy with other projects. So in other words; this is something to listen to while waiting for new material – and that will NOT have Tubular Bells on the cover.